Asparagus (Asparagus officinalis according to our scientist friends) was first grown 2500 years ago in ancient Greece. It is a member of the lily family and is related to onions, leeks, and garlic. Asparagus is very nutritious too. It's high in glutathione, which is an important anticarcinogen, and it's a good source of folic acid, vitamins A, C and E, B-complex vitamins, potassium and zinc. It also contains rutin, which protects small blood vessels from rupturing and may protect against radiation. 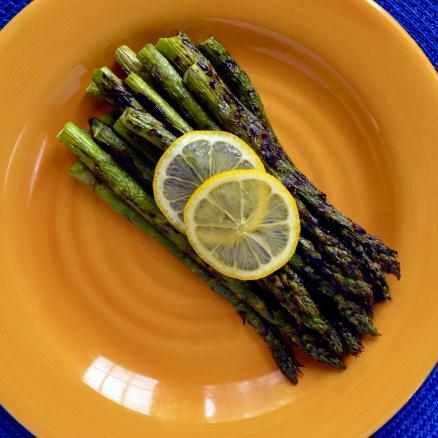 In fact, Asparagus has been used to treat problems involving inflammation, such as arthritis and rheumatism. Today, about 80 percent of all the asparagus grown in the United States comes from California. 1.) 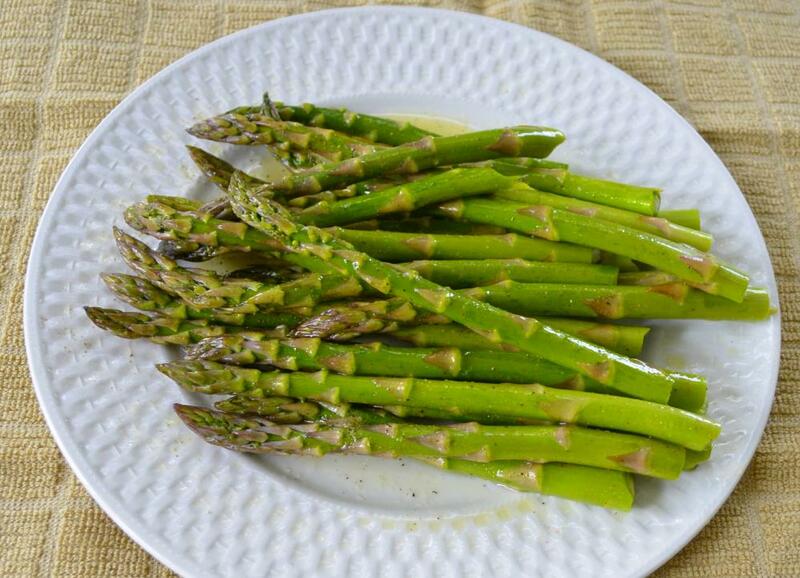 Toss the asparagus in olive oil and season with salt & pepper. 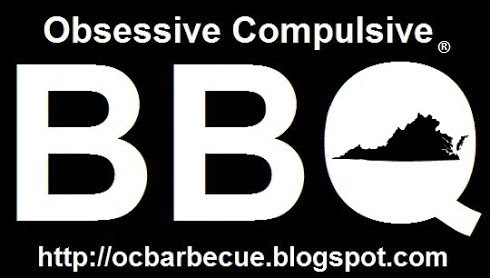 Let it hang out in the refrigerator until the grill is ready. 2.) 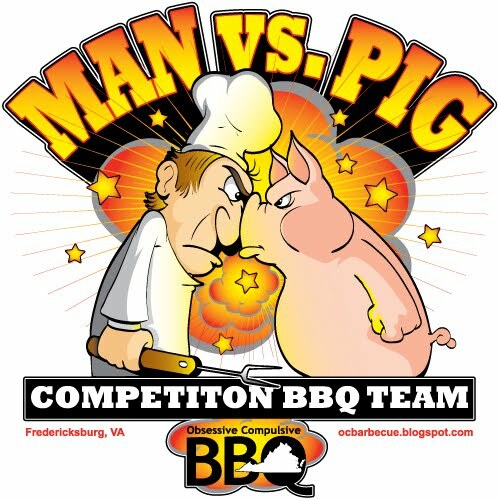 Fire up your grill. You want it setup for direct heat. 3.) 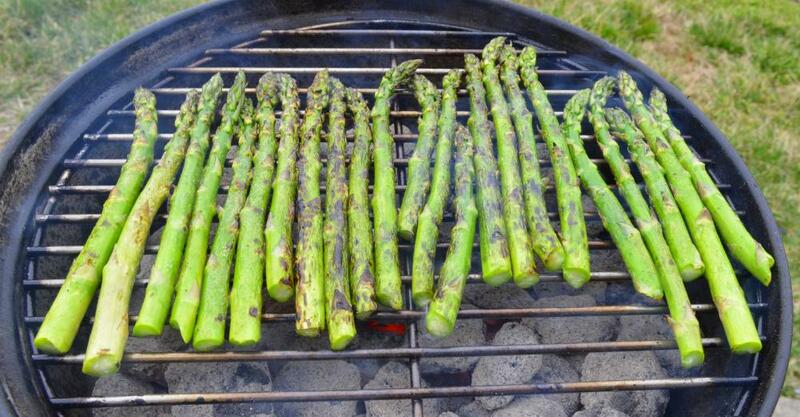 Place the asparagus on the grill perpendicular to the grill grates. This prevents the asparagus spears from falling through the grates. 4.) Let the asparagus cook until it begins to brown (caramelize) on the outside. When it begins to brown, give it about a 1/4 turn. Repeat the turning until it is uniformly browned on all sides. 5.) If the oil on the asparagus causes the grill to flare up, give the fire a little spritz of water to cool it down a little. 6.) 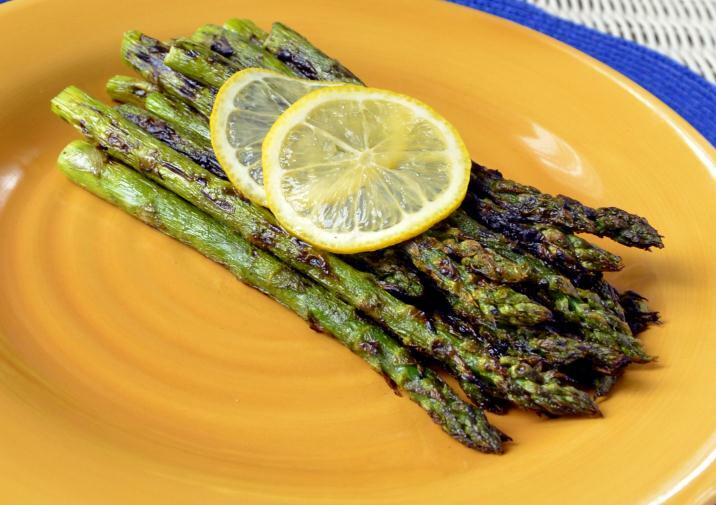 When the asparagus is caramelized on all sides, it's ready to remove from the grill and serve.